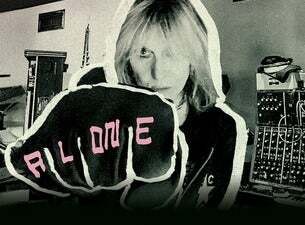 Largely recognised as being a vehicle for guitarist/vocalist Chrissie Hynde's own songwriting, the Pretenders began as fully fledged band in the late 1970s. Over the years they've had countless successes. Their debut album, released in early 1980, eventually climbed to the No.1 spot in the UK; and the band was nearly as successful in America, with the album reaching the top 10 and lead single Brass in Pocket reaching No.14 in the Billboard charts. Other singles over the years have included the unmatchable I Got You Babe with UB40, Don't Get Me Wrong and Breakfast in Bed. On hiatus since 2012, the Pretenders reconvened in 2016 to record a new album with Black Keys guitarist Dan Auerbach as producer. The record, Alone, came out in October 2016 and the band have announced a huge tour with several UK dates beginning in late September 2017.